Fertilitas was founded in 1993 and is Estonia's largest private hospital, with specialists in more than 20 areas including gynaecology and obstetrics, treatment for ear nose and throat illnesses, and rehabilitation services. Experienced Estonian gynaecologists and gynaecologic oncologists can give safe and reliable help to women of any age. All modern treatment techniques and technology are used, and a large part of the gynaecological operations performed in Estonia use minimally invasive endoscopic techniques. Gynaecology centres have cutting edge technology that allows them to do a variety of diagnostic tests like identifying the morphology of a tumour, or the markers of a tumour and the sensitivity of receptors; or performing hormonal diagnostics, full body digital studies, MRI scans, a variety of ultrasound scans, and endoscopic studies like colposcopy, rectoscopy, cystoscopy, colonoscopy, or gastroscopy. Minimally invasive endoscopic techniques are predominantly used in gynaecology in Estonia to ensure quicker patient recovery and a better appearance – smaller scars. 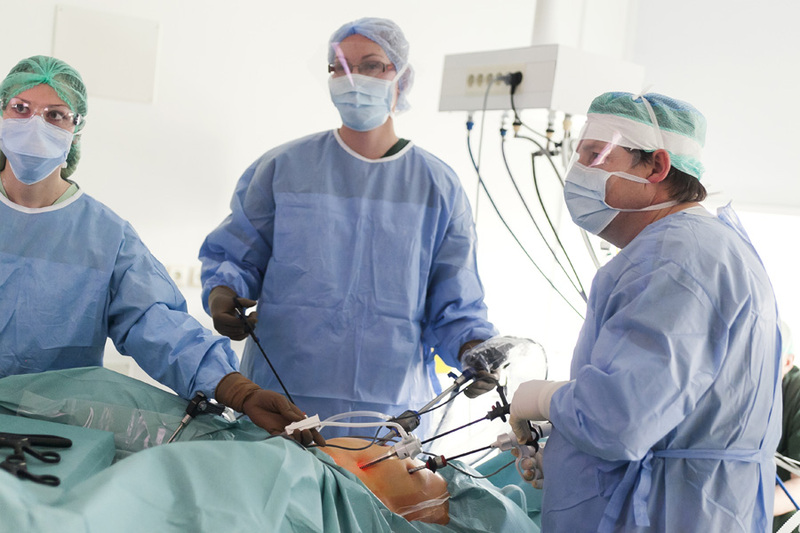 Endoscopic operations can make up as much as 90% of some treatments at some centres. Reconstructive pelvic surgery can be done using modern synthetic graft materials (meshes). In general, foreign patients can be scheduled to the operation plan within a week. The wide experience of the doctors and the modern diagnostic options have given Estonia a very good reputation for second opinions among foreign patients in both diagnoses and treatments, particularly in gynaecologic oncology. *Prices are given as a guideline only. The actual price will depend on the choice of services and may vary between service providers.